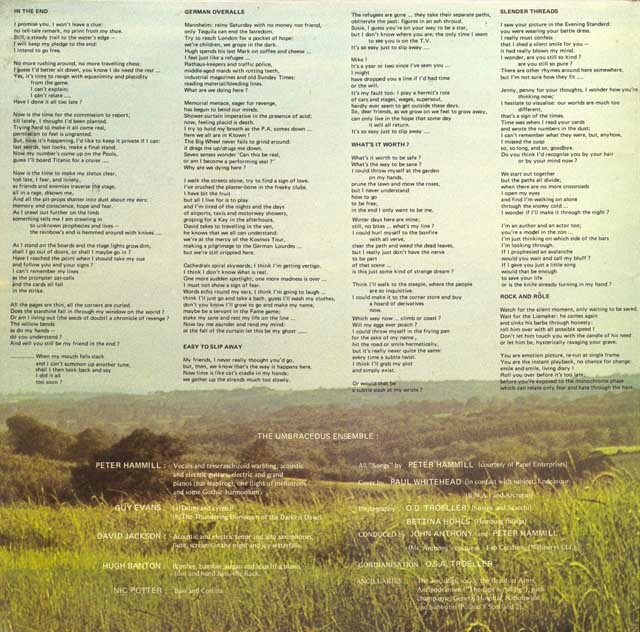 *recorded in 1973, but not released until 1993 on The Calm (After the Storm). 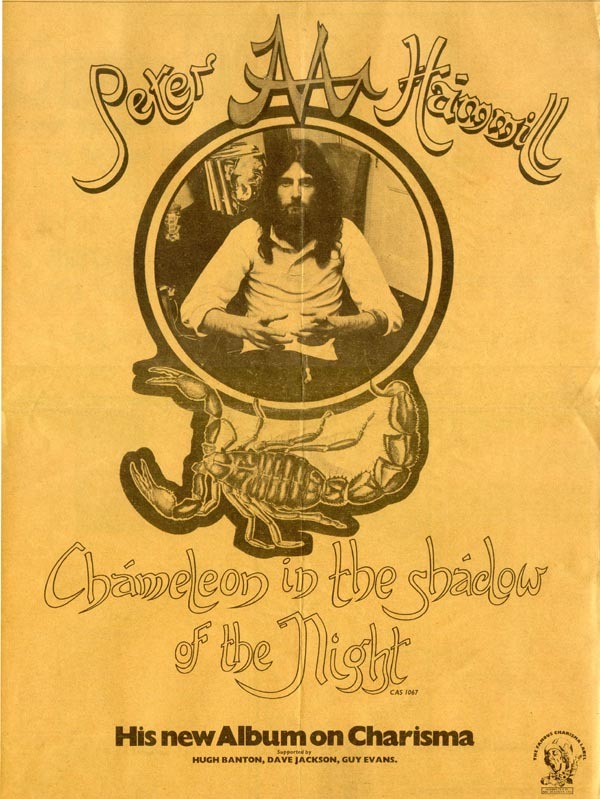 **recorded on February 16th 1978 at All Saints Unitarian Church, Kansas City, USA. 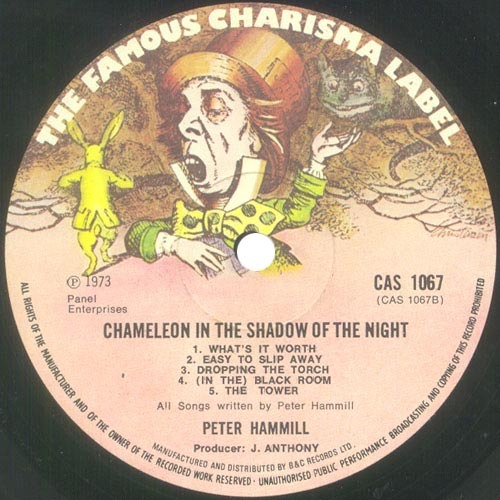 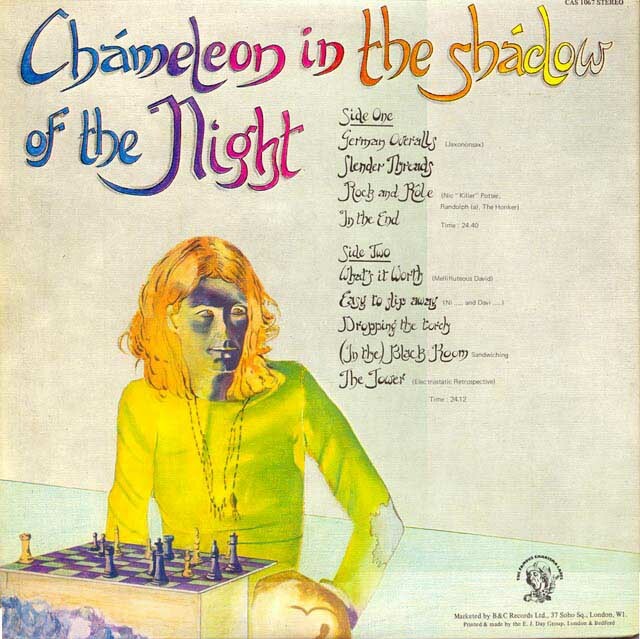 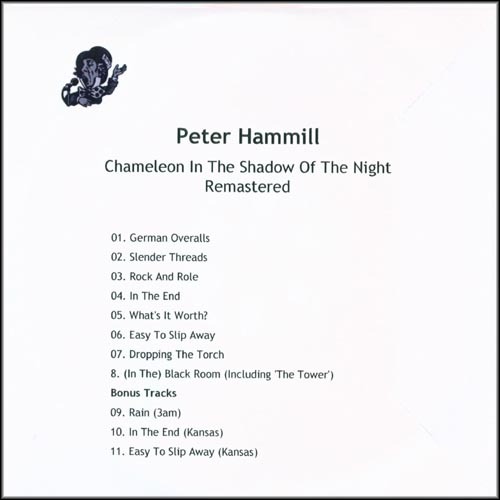 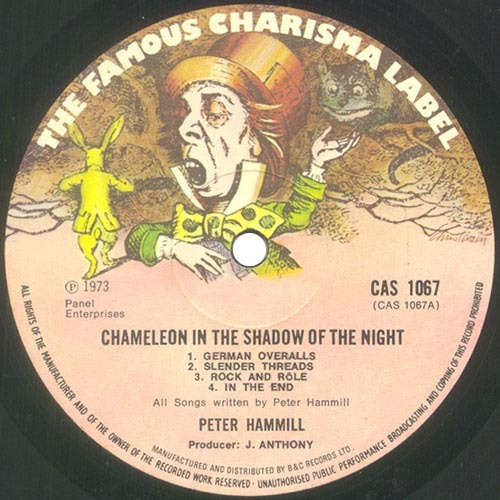 Chameleon in the Shadow of the Night was the first Peter Hammill album that I bought on release (4th May 1973). 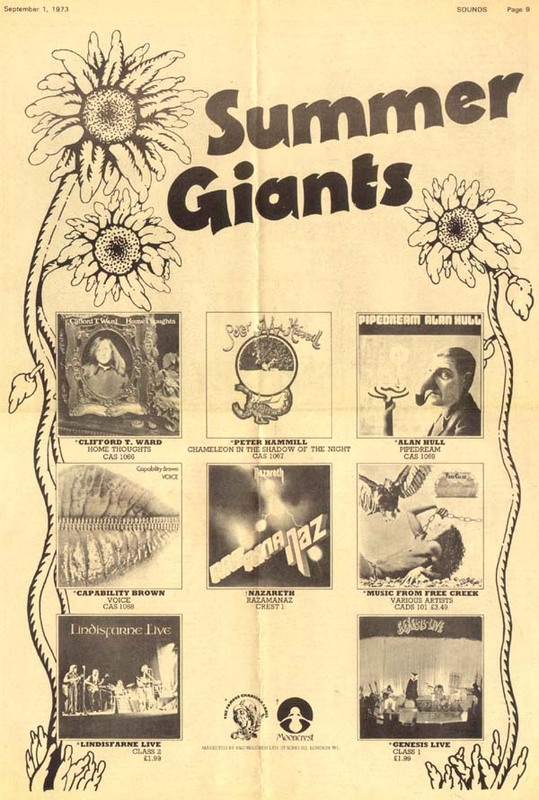 It was long awaited and brilliant. 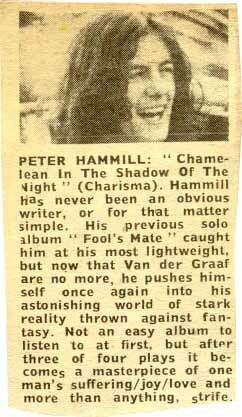 Long awaited because his previous release had been Fool's Mate, which contained older tracks, and was released some time before, and of course the original Van der Graaf Generator had split up. 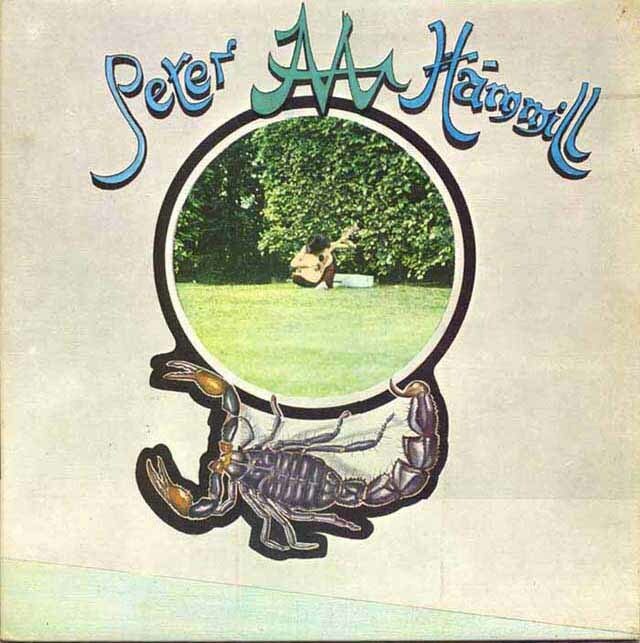 This is the first real Peter Hammill solo album, though of course his friends appear throughout. 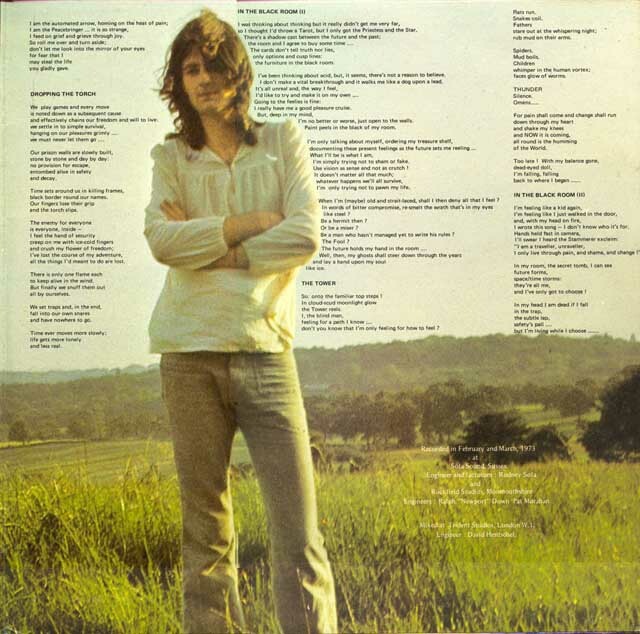 Armando Gallo. 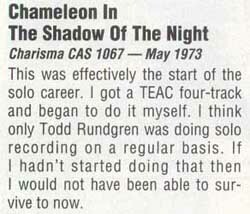 "...the most difficult album I've ever had to write about" - R.H.